If you have been looking for a good all-round dynamic microphone that is both affordable and able to produce great sounding recordings, then you should check out the Heil PR35. 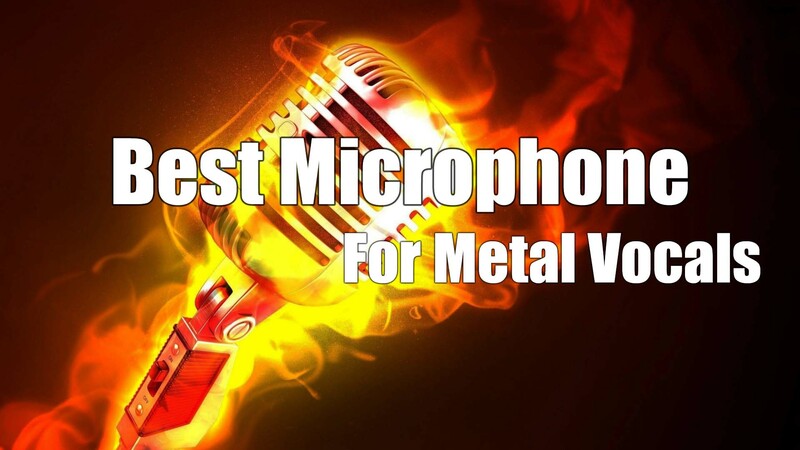 This microphone is great for anyone who is just starting out in recording and works great on a range of vocal types including metal vocals and screaming. 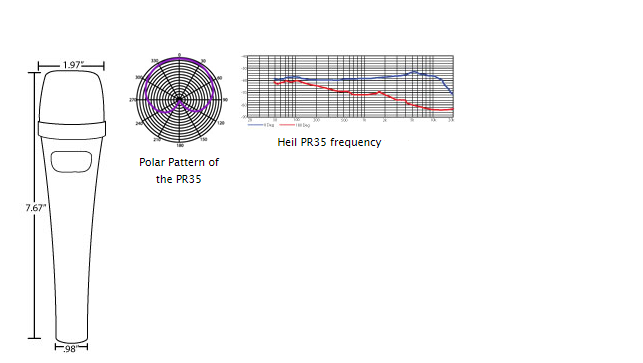 Read our Heil PR35 review below. 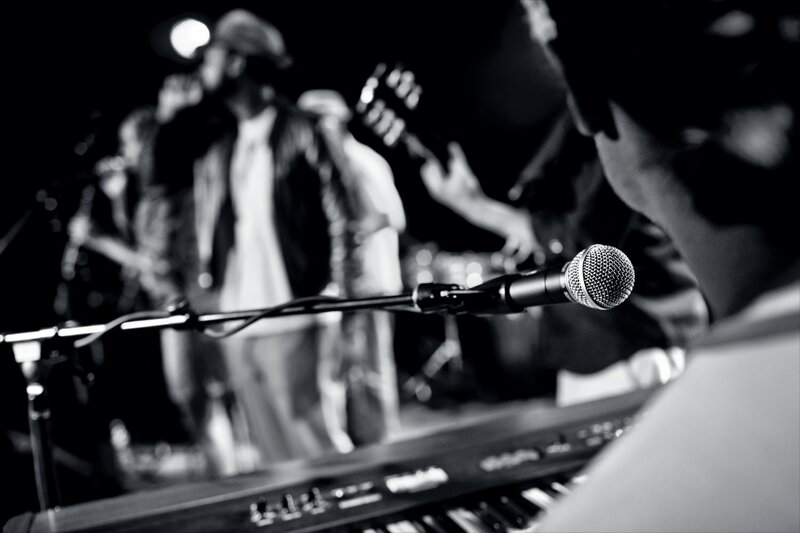 It can be difficult to get started in recording, there are so many options to choose from within a wide price range. 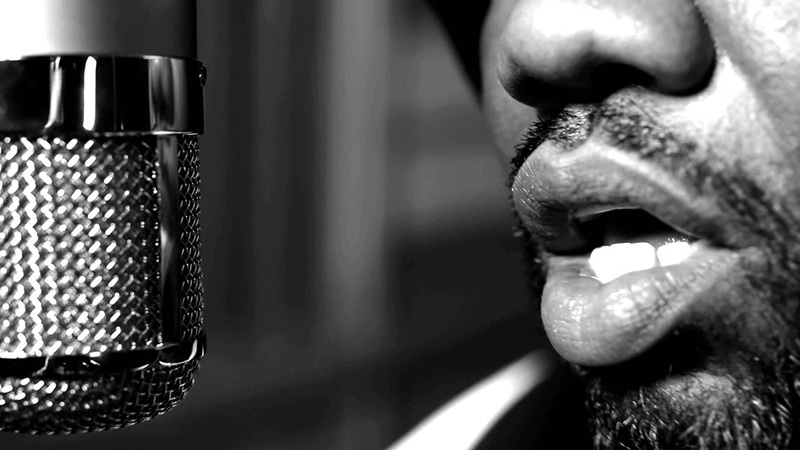 Most of the time people will want a good microphone that can be used in all kinds of situations. Sometimes people spend a lot of money hoping for better quality, which most of the time they get. 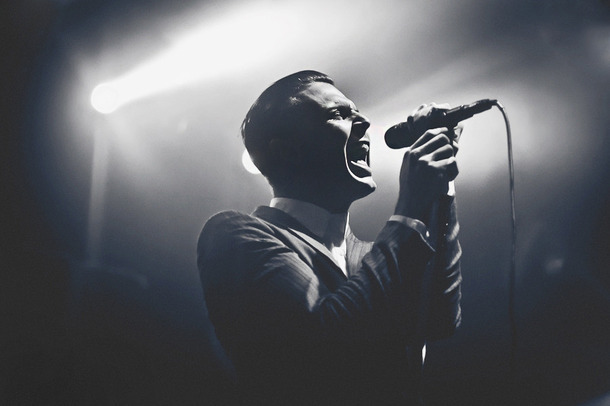 But often the microphone they choose is too good, especially to take on the road or perform live with. This is something that anyone should take into consideration when purchasing a microphone and the Heil PR35 could be the solution to a lot of these problems. The Heil PR35 is a very good all-round microphone, it has many features including a low magnet design structure and well placed hum bucking coil allows for it to keep out any unwanted noise or interference when near anything like a video or TV monitor. The way that it is weighted also makes it comfortable to hold using correct mic techniques. It has a good frequency response of 40Hz to 18 kHz, and the microphone is able to cope under high sound pressure levels (SPL) while still putting out a pleasing and warm output even without the help of decent pre-amps. The microphone does really well in live situations where there is a lot of background noise from the likes of drummers, guitarist’s, Crowds etc. The background noise is rejected substantially, allowing only the voice to come through without any unwanted sounds. There is also some great phase design, the equal ports which sense any audio behind the microphone are there to pick up the noise and cancel it out of phase, making a nice cardioid mic pattern. This also gives you a good idea on where to place the microphone as you know that directly behind it, there is basically no unwanted noise that will come through. One other good thing is that the microphone really reduces the proximity effect while keeping all of the detail and articulate vocal parts. A nice added feature included on the Heil PR35 is a low cut switch for 60Hz, 120Hz and flat. This allows you to cut out any unwanted bass or sub frequencies and allow the voice to pass through nice and clean without picking up any rumbling. This can also help reduce any exaggerated plosives that often come out with other microphones. If you are a vocalist who likes to hold your microphone when performing live then this mic could be your new best friend. This microphone works great as a hand held microphone, it is not very sensitive to bumps or vibrations made by your hand and fingers as you hold the mic while singing or screaming. What ever your thoughts or opinions are on Glen and his views, he does have a good point about this microphone and what it can do. The Heil PR35 comes in a nice looking carry case. It also includes a wind screen and microphone clip that works on 5/8 Inch 27 thread stand. If you don’t have a stand that works for this, adapters are cheap and widely available. 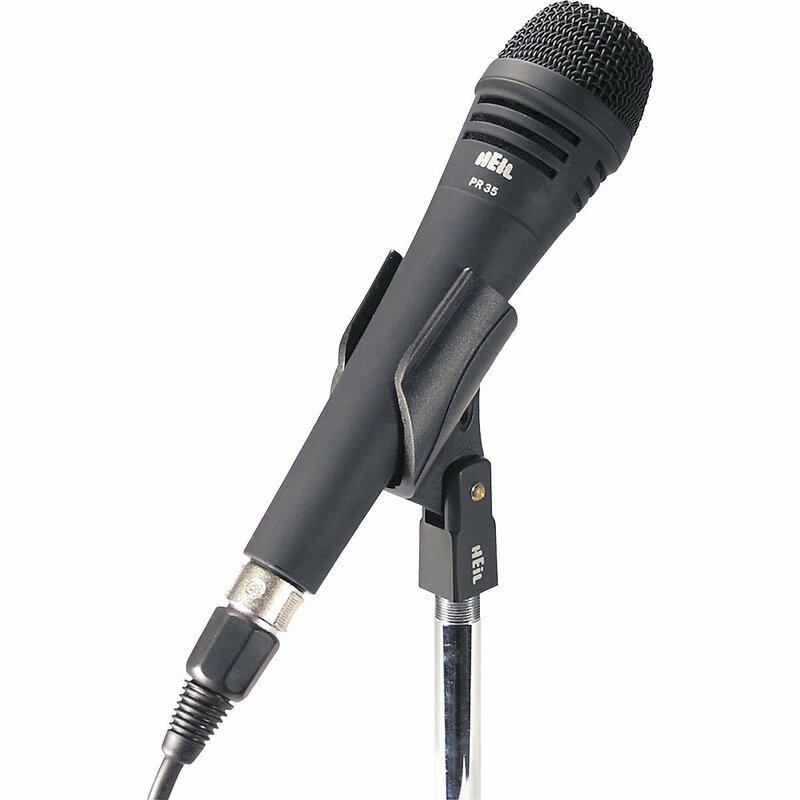 The Heil PR35 is able to be used in a range of situations, it is a very good quality microphone for its price. For someone starting out you would be better off with something like this rather than multiple expensive mics for each type of recording or live situation. It is solid, reliable, affordable and sounds great. I wish this microphone was around when I first started and am sure that anyone will enjoy the Heil PR35. Check it out here!